Recently on FaceBook a former student, Jillian (now a high school teacher of AP Psychology) invited me to comment on Dana Dunn’s Psychology Today blog post about “The Overlooked Importance of Instructor Office Hours.” Thank you, Jillian, for alerting me to his thoughts — and for continuing to stay in touch. I admire what you are doing professionally in “giving away” psychology in your teaching and coaching and mentoring of other AP Psychology teachers. Well said! I am saddened at how fewer and fewer students come to my office to see me across the past forty years. I have an open door policy in addition to scheduled office hours. 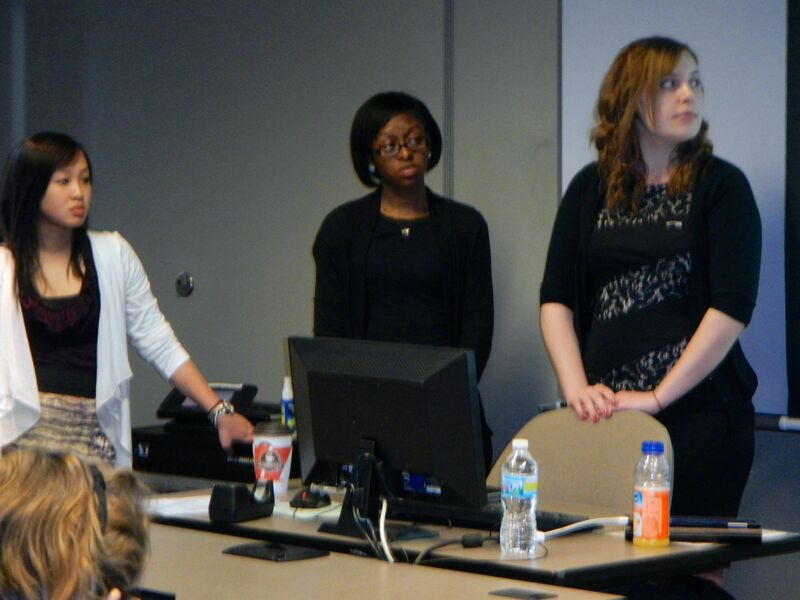 “Today’s” student seems to think that email communication serves the same purpose. I respect the fact that they are so busy with multiple jobs, student extracurricular activities, and their studies. Meeting them in person, though, in my office, allows for mentoring, my learning from them, and the building of a relationship that can in fact last across one’s lifetime. I have been so blessed. I’ve been reflecting lately on my role as faculty adviser to undergraduates here at Carroll and about those faculty who played such a crucial role in that capacity for me. Without doubt their influence shaped how and why I relate to students and former students as I do. At Oberlin College my most influential adviser was Ralph H. Turner. Ralph, the first faculty member to invite me to address him by his first name, somehow was able to provide me the right balance of challenge and support I needed both inside and outside the classroom. I fondly and respectfully remember him as intellectually curious, patient, playful, kind, and unusually generous in his time with me. Indeed he was willing to stay in touch with me even across the years that I was continuing my education at The Ohio State University. Thank you, Ralph. I was blessed with a similar and even deeper rich and enduring relationship at Ohio State with Tom Ostrom, who was my adviser, research collaborator, mentor, friend, and role model until the day of his untimely death. Tom provided emotional support for me while I struggled with the likelihood of being pulled out of graduate school to be sent to Vietnam, listened to me as I sorted out my thoughts about getting married, wrote me a teasing letter about a study I should do if I ended up in jail, guided me in the transition from the intense research world of Ohio State to my current home at Carroll and inspired me to share with others my love of learning. His wisdom, lust for life, optimism, sense of humor, firmness, and candor still guide and humble me. Both individuals so impacted my life in so many ways. I draw upon their wisdom each time I am interacting with a student in an advising capacity or with my student research assistants. Advising is much more than helping students make the transition from high school, providing advice in course selection, or giving guidance in deciding whether there is an afterlife after graduating from Carroll. The lessons taught me by Ralph and Tom aren’t and can’t be learned from adviser training workshops. Tomorrow I meet with my students for the first time. Even after four decades of teaching I shall be nervous, though for different reasons than my two new colleagues whom I chatted with today (one, a former student!). I have already sent my students a survey to have been completed before we meet. This begins the relationship building which is a focal point of how I teach. In the 2 sections of Statistics and Experimental Design I’ll collect some data to illustrate a simple two-group design. This also serves as a means of taking attendance. I also want to convey to them my interest in “robot-proofing them“, why I so value the liberal arts, and by belief in Carroll’s newly formulated ethos statement. I am VERY impressed at how my Experimental Social Psychology students have thoughtfully responded to the blog post I shared with them. Based on their thoughtful responses, we may be rewriting the syllabus as we go. My biggest worry at the moment is will I physically be able to get into my office – when I left today they were programming the locks! Now is a good time to gather together some last thoughts about and for you while i am proctoring my last final exam of the 2017 – 2018 academic year. This year for the first time since I came here Commencement will be Saturday morning rather than on Mothers’ Day afternoon. Because of my age seniority length of time at Carroll and my rank of Full Professor, I march at the front of the line at Commencement. That gives me an ideal seating position for seeing and hearing speakers, but forces me to be on my best behavior — awake, disconnected from my Ipad, and resisting wearing my Brewers’ or Carroll College hats. I even got a hair cut! For those of you I have met, I have done my best to teach you well but alas I am only human. Each student I teach is different, special, and always teaches me. You have enriched my life, and I welcome the opportunity as you become alumni to continue and perhaps to even expand upon our relationships. That happens a lot! Thanks for the many lessons you have taught me. Many people (family, staff, faculty, administrators, and trustees) have worked very hard, in addition to you, to try to provide you with the best education that Carroll can provide both within and outside of the classroom. I often think that we ought to set aside a time for recognizing those unsung “guardian angels” who have done their best to make Carroll a caring community and a better place. I urge that as time and circumstances allow you join them in giving back (without expectation of receiving “convocation points”) your time, wisdom, networking resources, prospective student recommendations, and examples of skills or values developed here at Carroll that have served you well. Carroll for me has always been a Caring Place. Give Carroll its due credit when it has earned it, but I also encourage you to offer constructive criticism when the institution has failed to meet your expectations or deviates from its values which you value. Be appropriately skeptical of bland, branding platitudes. Seek out opportunities to do “a” right thing. Use your mind to think carefully and critically, but don’t forget that there are indeed many times when it is appropriate to follow one’s heart. I envy your youth and the many opportunities that lie ahead or you as you share your talents and to make the world a better place. Stay in touch. Oh, yes… Here is a final exam. David Simpson, Professor of Psychology and fellow, flawed human being. I am still emotionally drained reflecting on the life lessons from the Milwaukee Rep’s performance of Thornton Wilder’s Our Town that Debbie and I enjoyed last Sunday. As a high school student and undergraduate, I used to keep journals documenting how literature and the arts impacted me. Thornton Wilder was born on my sister’s birthday and attended my alma mater Oberlin College. Precious Moments: The entrance to this world by a new grand-nephew, Finn William O’Connor. Welcome! Precious Moments: Quality time with Debbie, Dog, and Friends. Precious Moments: Playfully being crowned the Once and Future King. Precious Moments: Thoughtful, playful students who stop by and enrich my day. Precious Moments: Exploring ways to enhance how and what I teach. Vita brevis. Kruse control over 1440 minutes? I give thanks. The closer I get to retirement, the more meaningful Carroll graduations, past traditions, and the relationships I have formed with students, faculty, alumni, and other members of the Carroll Community become. Carroll has changed greatly since I wrote the message to seniors below. Baccalaureate is now at 5:00 Friday evening without Faculty regalia. Commencement (no longer on Mothers’ Day) is now at 10:30 a.m. on Saturday. 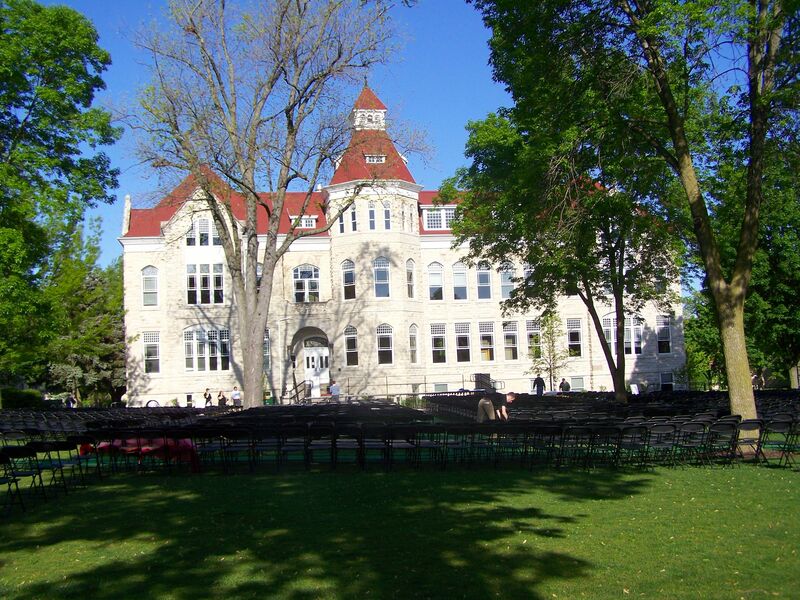 The physical appearance of Carroll continues to change daily with new or renovated buildings. Carroll has a new President, Cindy Gnadinger. 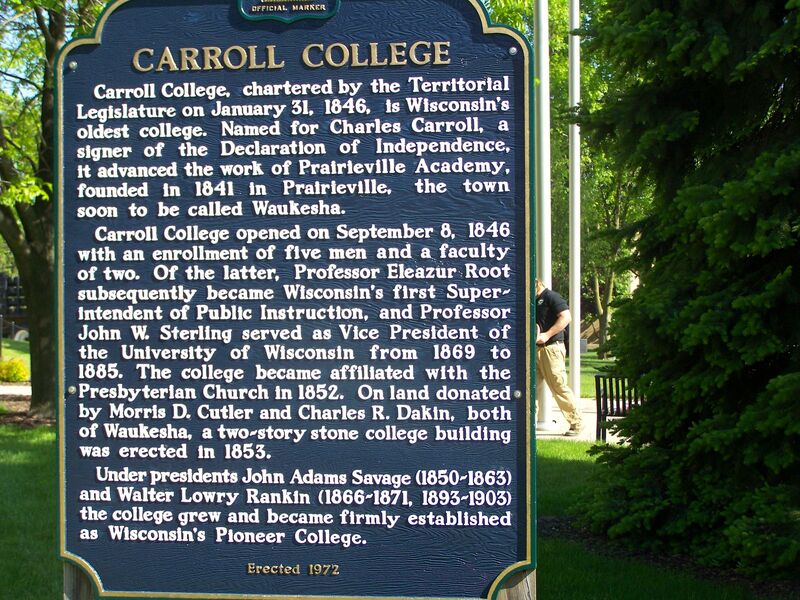 I have personally known five other Carroll Presidents since I arrived in February of 1978. 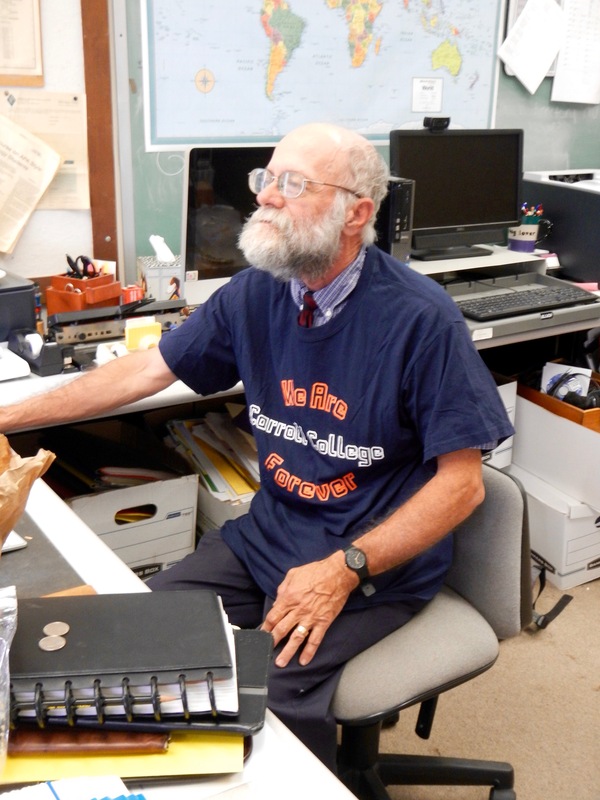 And Carroll Emeriti, faculty, and students look younger to me every day :). Certain Carroll music triggers strong emotions. My feelings about my overall Carroll experience haven’t changed from what I wrote years ago (or how I felt here forty years ago) so I re-share them here–with a few photos taken since then! As is my habit of the past many years, I am sitting in my office on this graduation day morning reflecting. I drive in early to ensure getting a parking place before the proud families start arriving. Mothers, fathers, sisters, brothers, uncles, aunts, babies, babies-soon-to-join-the world—-the campus explodes with sounds, colors, emotions, and celebratory chaos. Often I walk around campus taking photos (or accepting an invitation to be photographed). My emotions are mixed–not unlike that of the soon-to-be-graduates. Joy–sorrow–elation–sadness–weariness–rejuvenation. At the end of a long Commencement Day I experience some emptiness and some poignant, positive residual reminders. I often tease my graduating research assistants that upon their exit from campus I “exorcise” our shared office space to better allow me to adjust to the temporary emotional vacuum caused by their absence from “Dr. David’s Neighborhood.” You know of course that when you graduate, you remain in my memories as I have come to know you–and you remain forever at that age! Forever young. I can hear chapel bells. Soon I’ll hear the chimes of the campus hymn and that of the alma mater. My sitting in the front row has its liabilities as I’ll feel that I must behave in an uncharacteristically well-mannered fashion! Thank you, graduating seniors past and present (and for a few ever so short more future time) for all YOU have taught me. Put to good use your many talents, your energy, your playfulness, your empathy, your resilience and your creative ideas to make the world a better place. Come to appreciate (as I did upon graduating from Oberlin College in 1971) that you have been privileged to receive a good education due not only to your own sacrifices and hard work but also due to the many members of the larger community whom you may never have met or whom you took for granted–Board Members, Administration, Staff, Faculty, Physical Plant Staff, and Alumni–who deeply care about you. I enjoy arriving at work by 7:15 am. It gives me time to walk around the Art building to discover the many new student and faculty works of art that are showcased in the different galleries. It will be interesting to see on April 23 the finalized versions of the sculptures which students did (including of your truly!). You can learn more about that project by clicking this link. It has been an (In)Sightful academic year for me! Thank you, Amy Cropper and Saskia de Rooy, for expanding my artistic horizons. I look forward later today to a “check in” phone call from my consulting partner, Greg Schneider, in preparation for our meeting next week. Being a partner in Waukesha’s Schneider Consulting (here is our web page) has been invaluable in opening my eyes and horizons to corporate culture. My partnership, long-standing friendship, and interactions with Greg and Jane Schneider always help me step back, rebalance, slow down, recenter, and put into context what I want to accomplish with the talents I have or that I need to develop. 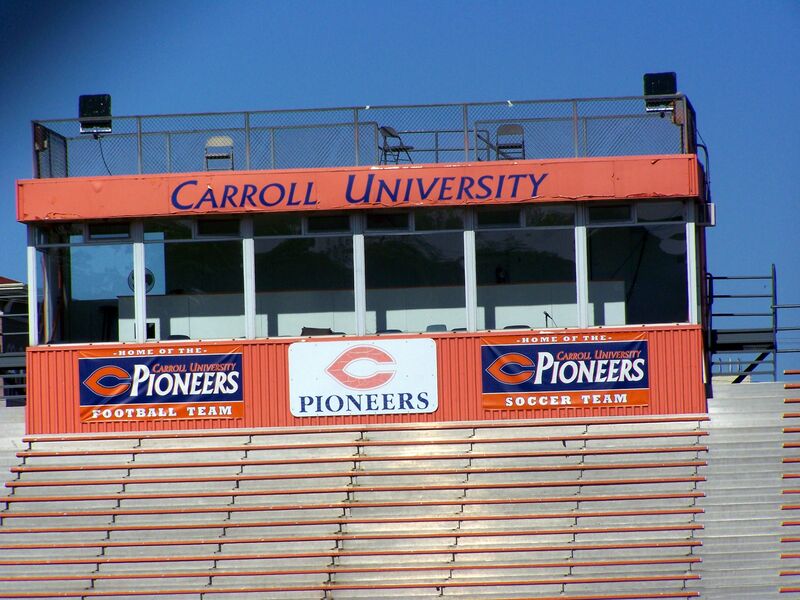 Greg and I started working at Carroll College on the day. Here he is in 1978 with another Walter Young Center colleague! Time to review, cull, revise, or delete more of my earlier blog writings. I’m going to focus today on pieces dealing with reflection, refocus, and redirection. Apparently I wrote at least 28 such pieces. I may ask student research assistant Kristen to pull them together into an e-book format. I should be finishing the grading of the exam I gave yesterday while I proctor the exam I am now giving. Yesterday Leo the Grading Dog and I devoted five hours to the uncompleted task–and decided that we needed sleep to continue. I playfully attempted to engage former students on Facebook in a crowdsourcing grading “experiment.” Alas, a lot of LOL’s. About as successful as my tabled crowdfunding proposal:).